Have you ever found a recipe you just had to make immediately if not sooner and then spent the next week visiting 5 grocery stores and 2 Targets looking for the one elusive ingredient that sets that recipe apart from everything else only to not find it and then you finally look online and are so excited until you notice they want to charge you 300% more than the items costs just to ship it to you so you get sad and then angry and decide even if you do find that elusive ingredient you're never going to make that recipe? Yeah, me neither. (cough, lying, cough). Instead I decided to make something more awesome than the original recipe because you know I love seasonal ingredients so I couldn't help myself when I saw the cinnamon milk chocolate M&Ms during my failed mission. I decided to turn them into an amazing oatmeal cookie full of chocolate and cinnamon for an excellent fall cookie with a soft texture and tons of flavor. Please allow me a moment to nom vigorously on these. Ok, now that I've wiped the crumbs, I can share how amazing this hot dog wrapped in a perfect soft pretzel sprinkled with salt is: AMAZING. Last month I went to two football games and both times I ordered a soft pretzel to enjoy with the game. so the idea of stuffing a hot dog into that pretzel to enjoy while cheering on my team won me over in a heartbeat. I whipped these up as a football lunch for Dave and I (he did help a lot) and we devoured them. I packed the leftovers away in the freezer in two-packs so we could enjoy them later. The pretzel has a perfect soft and chewy inside with a crusty, golden brown outside that is the perfect "bun" for a hot dog. I eat my hot dogs with ketchup only, but if you're a mustard aficionado, you will be hard pressed to find something better to pair with your favorite spread. Sigh. 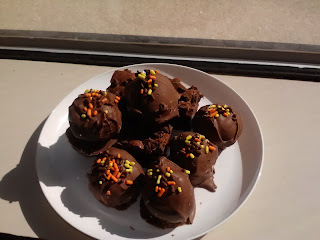 As delicious as these treats are, I was sad to make them. My coworker and friend Beth took another job, so we had a little going-away lunch for her. Since I know she doesn't like cake (correction, she likes cake, she just has an obscene level of self-control and wouldn't indulge in something less than spectacular), I decided not to order one from our catering department (their cakes definitely qualify as less than spectacular). So I searched for the perfect bite-sized treat that Beth (and I and everyone else) would love but wouldn't feel too indulgent about eating since they are tiny and not big slabs of greasy frosting coated dry cake (true, less than spectacular cake graces my workplace). Clearly, the best alternative is a ball of eggless brownie batter dipped in chocolate and topped with seasonally appropriate sprinkles (see: seasonal baking item compulsion). The catered lunch did come with brownies automatically. When I spied one of my coworkers grabbing a brownie rather than one of my truffles, I (jokingly) said to him, "What the hell are you eating that for?" Mildly ashamed he put the brownie down, grabbed a truffle and upon tasting it, he said, "Yeah, that was definitely the right question to ask me." Tasty? I think so. Confession: I can't resist seasonal ingredients (damn you Target and your perfect seasonal displays!). Especially in the fall. Something overwhelms me when I see a regular bag of M&Ms, chocolate chips, or marshmallows has been transformed into something "special" for the fall holidays, be it with a simple color change, a design or shape adjustment or, my favorite, a new flavor. So when I saw a bag of cinnamon bun flavored marshmallows, I scooped them up knowing there was only one end result for this new treat: rice krispies treats. And they were awesome. Every bit of a yummy cereal treat you expect, but with cinnamon flavor throughout and a sprinkling of cinnamon sugar on top. The marshmallows were far more subtle than I expected, which was nice if you were just going to pop a few in your mouth, or maybe spice up a cup of hot chocolate. So they gave a nice cinnamon pop to regular cereal bars which Dave adored, seeing as how Snickerdoodles are one of his favorite cookies. It's harvest season. And it's comfort food season. I see no reason why these things can't be combined into a yummy, healthy, and satisfying dinner. Agree? Good because this recipe does just that, serving up delicious veggies in a meatloaf made healthy with ground turkey and seasoned up to tasty goodness. This is a great fall dinner paired with mashed potatoes and veggies to leave everyone with a full belly and loaded up on in season veggies. That's the beauty of this recipe--use whatever you have on hand to incorporate 2 full cups veggies into this meatloaf and you'll have a unique meal every time. I made cookies...out of cookie butter. Circle of life? No? Whatever, they're awesome. Speculoos Cookie Butter or Biscoff spread, either way grab a jar and get in the kitchen. These are super simple, crispy cookies that taste as close to an actual Biscoff cookie as I'm ever going to make. I love the crunch, the snap and excellent buttery, slightly gingery flavor from these cookies. And did I say easy? Cause they are simple. A bowl and a spatula and five ingredients. Why isn't everyone making these cookies? Today is my nephew Aidan's birthday. He turns 9. And while it may seem obvious that children tend to enjoy peanut butter and jelly, this child has an addiction to the sandwich that cannot be satiated. He will go to town on a PB&J. And he's something of a jelly/jam/preserves connoisseur. No lie, he'll take an orange marmalade over regular grape jelly anytime. And other flavors one would think more refined for a 9 year old palate. He takes this kid food to the next level. So of course his birthday baking--sandwich themed this year with Abi's Cake Batter Sandwich Cookies and Elyse's Homemade Oreos--had to be a twist of turning his favorite sandwich into a sweet treat. Soft peanut butter cookies smooshed together with peanut butter frosting and raspberry preserves sounded like the perfect cookie for this kid. The preserves cut the peanut butter flavor so it's not overwhelming and the sweet frosting lets you know this is more than just a sandwich or a cookie. It's a treat fitting of the birthday boy. Quite possibly the perfect way to start a crisp fall morning. A fluffy muffin chock full of apples and cinnamon, double dipped in a sweet glaze. Paired with coffee or tea and you've got a lovely morning ahead of you. 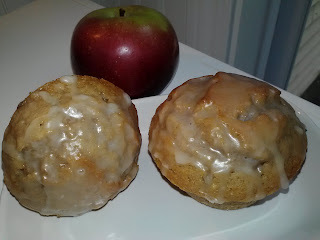 You know I'm not the biggest fan of apple flavored desserts, so it must mean something that I adored these muffins. Maybe it was the glaze. The double glaze. Or maybe it was just the perfect combination of flavors that let the apple mingle so nicely with everything else that it was apple baked good bliss. Whatever it was, these muffins are excellent and they should be made in your kitchen before apple season ends. Don't give me that look. These are not what you think. Does it say peanut butter in the title? No, because these aren't a rendition of Peanut Butter Blossoms. They are a different flavor of cookie full of fall spices, soft cookie texture and a choice of two different kisses to bring a brand new pop of flavor. The Lumberjack Cookie base was already a hit for us, so by topping them with Hershey's Kisses--in just the right flavors--how could I go wrong? A pile of yum. That might just be the best description there is. I mean, Sloppy Joes are meant to be piled high, spill out of the bun and be delicious, but this variation with peppers, onions, mushrooms topped with melty provolone cheese is more than delicious. There really is a distinct flavor of Philly cheese steak in these sandwiches and they are already a huge hit in my house. I've made them twice to rave review and they make the house smell yummy on a chilly, rainy fall evening. Comfort food without having to stand on a Philadelphia street corner. Or drive to Philadelphia when you're about 4 and a half hours away. Yes, this interpretation will due just fine when the mood strikes. And dinner will be on the table in less than 30 minutes. Dave and I have a little infatuation with Mexican food and southwest flavors. It's just so easy to make and super tasty that we often end up with it on the menu a few times a week. So of course to have a little Mexican flare for football food, I jumped on these delicious taquitos. They're vegetarian, but if you're inclined, a little shredded chicken wouldn't hurt. They are actually pretty filling as is and a great party food. Add a little salsa for dipping and you've got some amazing flavors going on. I made these for dinner one night and all four of us enjoyed them. Then I made a second batch to freeze so we could enjoy them on demand during football games. Cheesy, a little heat and some crunch go a long way for these little treats. Bite size treats are always a hit, whether for football games, parties, or just an appetizer for dinner. I've made these a couple times now, once when I had a group of girlfriends over and again when Dave and I had a friend over for dinner. I love that they are simple to make as well as delicious. They are a hearty little bit with pepperoni and cheese mixed throughout, all in a pizza dough flavored nugget, perfect for dipping in sauce. I like to add these to a appetizer buffet that needs something a little more substantial. Doesn't this just sound delicious? It's a great, cheesy spread with layers of flavor that really make it an upscale football food. While it's a little thick for an actual dip, it's perfect spread on crackers or stuffed into celery. I love the play of a touch of mustard with the beer and a fresh pop from the parsley mixed into a sharp cheddar base. Just a few simple ingredients whirled in a food processor and you've got one tasty cheese dish for your football spread. Oh, it's a thing. A real thing that's just yummy and delicious that you really need to experience and enjoy all it's flavor glory. 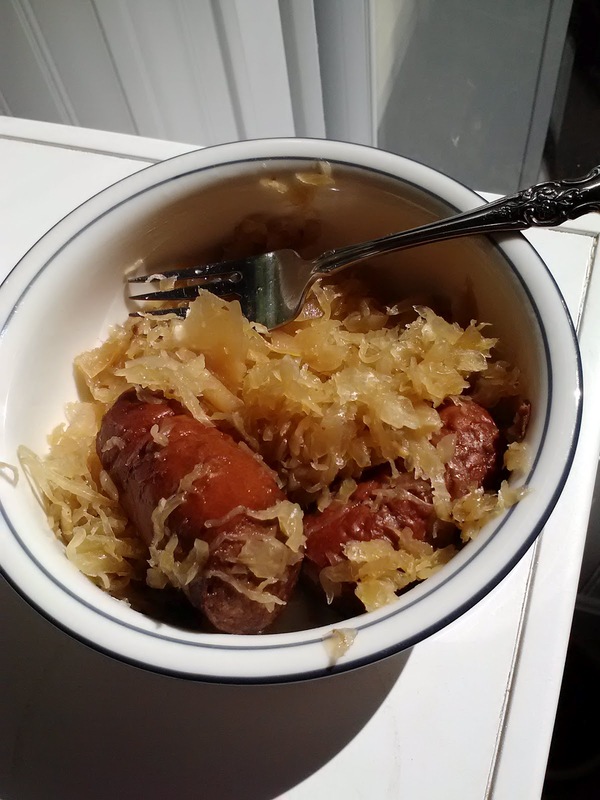 I have a coworker who, knowing I am from Pittsburgh, asked me if I "do that thing with the kielbasa and beer and sauerkraut in the slow cooker" because he could eat the whole thing if his Pittsburgh friends would let him. I responded with a resounding yes, and for a couple of weeks it's all I could think about making. But I resisted. Because of Dave. See, Dave doesn't like sauerkraut. He likes kielbasa. He loves beer. But despite his eastern Pennsylvania roots and both of his parents growing up with, and loving, sauerkraut, he won't eat it. Finally, I said screw it and decided I'd make a dinner that Ernie, Madaline and I could enjoy and Dave would just have to fend for himself. The sauerkraut is tempered with sweetness from the addition of brown sugar, so it's not as intense of a pickled flavor. A good beer goes a long way to the depth of flavor and you can serve this piled high on sub rolls or just mixed up in a bowl, whatever your fancy. And it's definitely a tailgate or game day food, especially when the Steelers are playing. It's October, fall, and football season, so that means it's acceptable to serve chili again! And this chili is unique and delicious, blending buffalo chicken flavors and a Cincinnati-style serving. Cincinnati-style means serves over pasta and topped with cheese. It's really tasty and the different texture turns your chili into a stew while the pasta doesn't compete with the chili flavors the way tortilla chips sometimes can. Serve any kind of chili this way and you'll suddenly have a wonderful new twist on the same-old chili recipe. 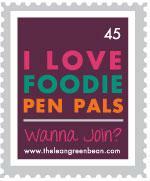 For the last year, Secret Recipe Club has been a wonderful blogging-family that I've enjoyed being a part of. 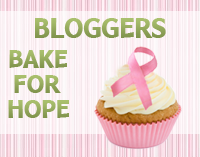 I've met many wonderful people through their blogs, tried many new recipes I otherwise would never have attempted, and have looked forward to seeing the delicious recipes my fellow Group B members put out each month. So I was understandably saddened and shocked to learn that Daniel from The Haggis and The Herring passed suddenly last month. Daniel was a kind man who took a lot of time to visit each members post in the blog hop and always had something positive, sweet or helpful to share for each of us. It was an honor to know Daniel and I was moved by his wife Meredith's touching eulogy which she graciously shared with the online community. By way of tribute, today is a special Secret Recipe Club reveal featuring recipes from The Haggis and The Herring. I hope you'll take the opportunity to check out the blog hop below to see how many bloggers Daniel inspired and the beautiful and delicious dishes he and Meredith created for their family and friends.